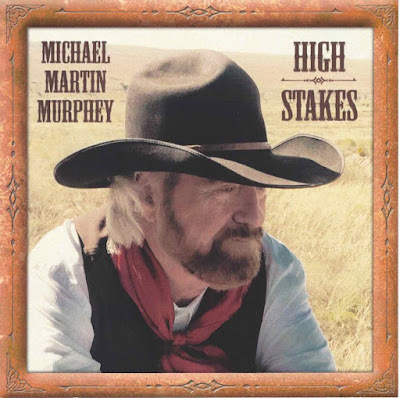 Perhaps more than any other living artist today, Michael Martin Murphey is hell-bent on keeping alive the great lost artistry of cowboy music and the great romantic life of the Old West. Those efforts culminate in the upcoming release of his newest album of cowboy music entitled High Stakes: Cowboy Songs VII. The project will be released on his Wildfire/Murphey Kinship Recordings label on April 22. “That’s why I love the Cowboy Poetry Gathering. If you want to know what the Cowboy Poetry Gathering means to me, that’s what it means to me. It’s a gathering of people who truly, truly understand the land and truly understand the importance of agriculture in our culture,” said Murphey. “Once people buy into the fact that it’s a beautiful culture, they’re going to save it,” he said, explaining if one goes to the Cowboy Poetry Gathering, he or she will walk away with a love and respect for cowboy culture." “The main message I’m trying to tell everyone is agriculture is the issue. Agriculture is the most important issue in our world that we need to think about. Technology isn’t going to feed people. Technology will help feed people by being applied to agriculture. That’s my main goal right now, trying to get people to have a positive view,” he concluded.